I wasn’t exactly enamored with beer when I first tried it; like most Americans, my first introduction to beer was painfully Lite. Going straight into a double IPA, however, can make the drinker’s nose wrinkle and face pucker in ways that don’t bode well for their Beer swilling future. I don’t remember exactly when I decided to like beer – and yes, I believe it’s a lifestyle choice one has to make when they’re ready – but my Untapped app says I’ve now tried a total of 205 distinct Beers. At first I was extremely fond of Porters and Stouts, possibly because they usually taste more like chocolate and coffee than beer. It wasn’t until my cousin introduced me to Revolution Brewery‘s Anti-Hero IPA, however, that the door to Beer was truly opened to me. It was then that the bitter assault of the India Pale Ales became a refreshingly crisp melody. And so, I chose Beer. 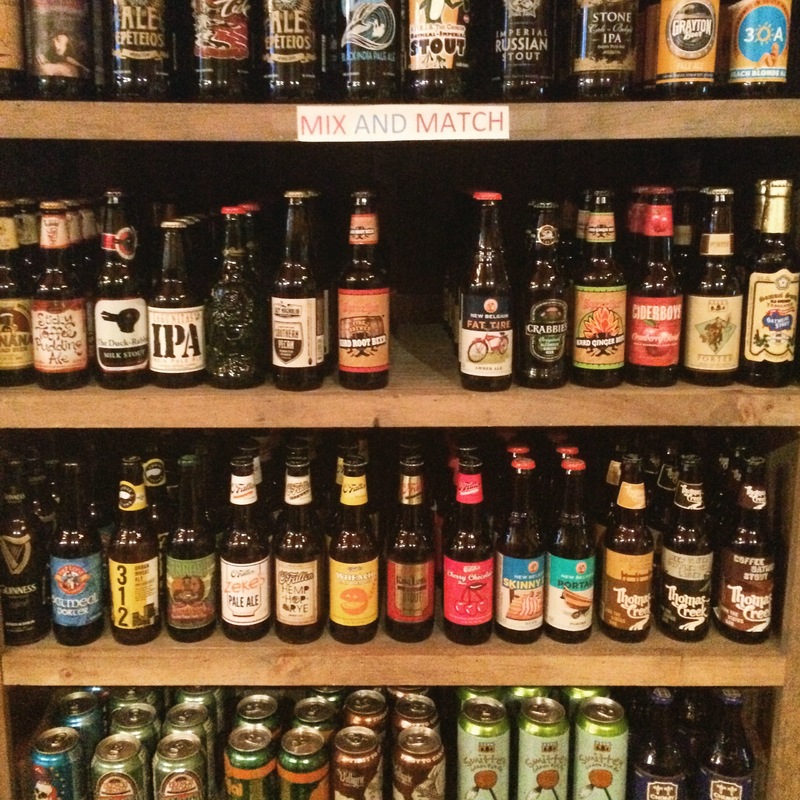 There are many reasons why Beer is the right – and best – choice. There are probably a zillion different manifestations of grain-into-beer and grapes-into-wine. Considering the differences between Beer and Wine, I think a lot of wine lovers would tell me, “well that’s just apples and oranges! Or, grapes and grain.” I disagree. Both have a unique taste, which most American adults force themselves to start liking. Ask an eight-year-old if they like beer or wine and they’ll probably stick their tongue out, scrunch up their face, and ask for their Capri-Sun back (sorry, I drank it all). Beer and Wine also share the propensity to be hoighty-toighty. Think a bearded, monocle wearing man, atop a unicycle sipping a Sour from a chalice and – on the other side of the freshly gentrified neighborhood – a mustached Frenchman, sticking his large nose so far into an outrageously bulbous glass of Red, you wonder if he’s stuck. 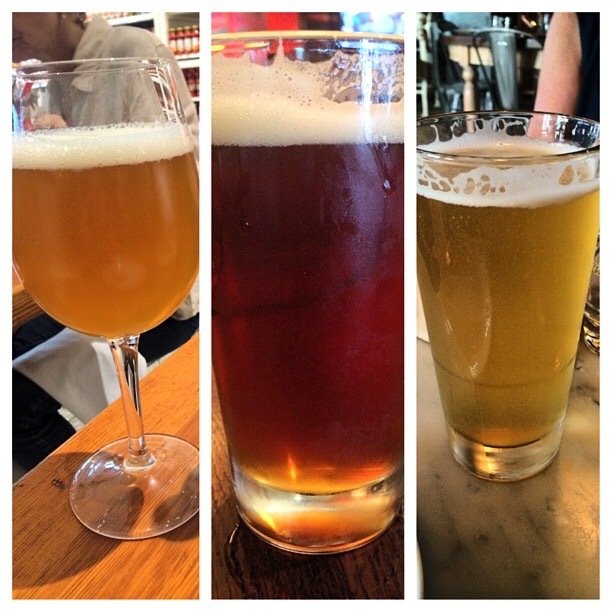 In both variety of flavor and atmosphere offered, I find Beer quickly pulls ahead. Where wine supposedly has an extremely wide range of flavors and especially, qualities, I’m hard pressed to find even the most avid wine drinkers able to tell the difference between my $12 bottle and their $48 bottle. Sure, you might be able to tell me which wine is which, but the flavors are pretty much cemented between Red and White. 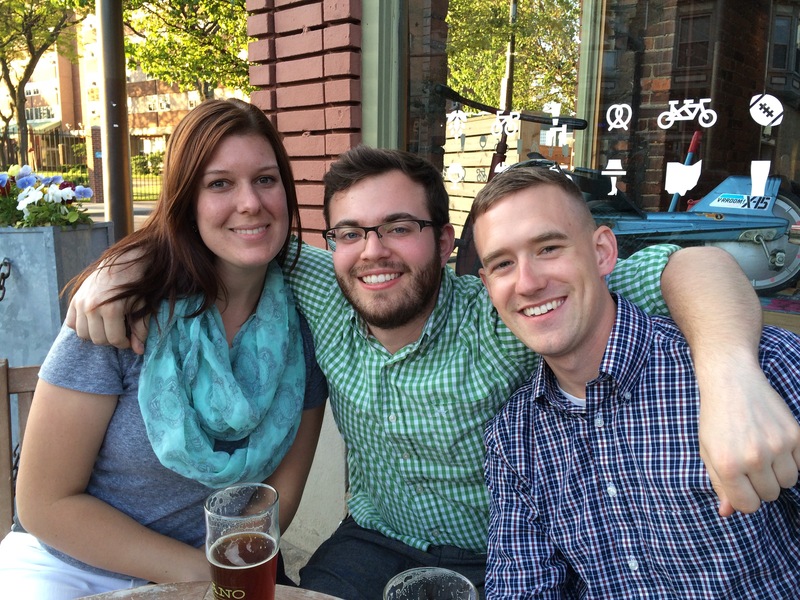 Recently, my wine-loving parents helped Kyle and I with two Beer flights. They themselves admitted that while they could distinguish obvious differences in all 12 Beers, no wine tasting they’d ever attended offered that much variety of flavor. Ohhh WhHHelll mahhybe your paahhrrents aren’t sophisticated enough whhine connoisseurs – says the Wine drinker from South Hampton. To them I say, stop it, you’re wrong. Beer has more flavor options. I choose Beer. Additionally, Beer, while sometimes hipster-tastic, is truly an all-inclusive experience. Contrary to a Wine bar where the sipper is nervous to ask the sommelier to remind them which in their flight is the ‘buttery but airy Chardonnay with hints of a doe’s bottom and a red flower’s third petal,’ the Beer vibe is a wee more, shall we say, joie de vivre. The atmosphere at small breweries and craft Beer bars is usually extremely friendly. The bartenders, though sometimes aggressively handsome, are always happy to offer you a taste of their latest, strangest creation before you cough up your six dollars. Drink ordering is extremely intimidating, no matter where you are. 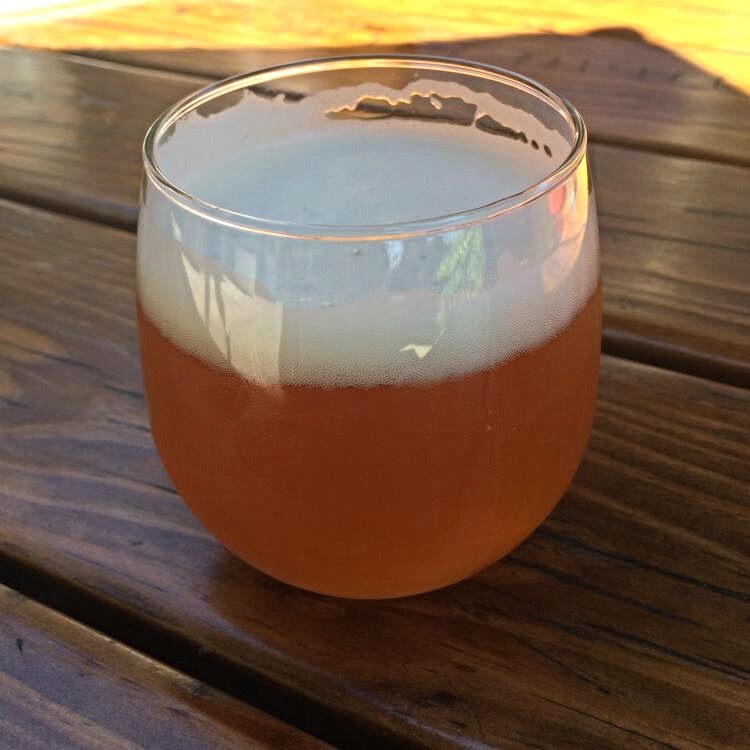 Craft Beer establishments, though vibe-ing a ‘too-cool-for-school’ atmosphere on first glance, really have the nicest, most helpful, and knowledgeable staff with the best outdoor patios. No one here will sniff at you if you ask a question, order something different (even wine, though they might not have any), or balk at giving you a rundown of suggestions: they just want you to be happy! Take Platform Beer Co. in Cleveland, for example: one of their latest draughts was a Chocolate Rye Porter with Bones. Bones. I didn’t understand what half of that description meant – in terms of beer – and I didn’t want to seem uncouth in Ohio City. Nevertheless, Cassie and I were curious and the beard-behind-the-bar happily poured us samples after explaining the bone-smoking and soaking process. It tasted like a campfire in my mouth so I took a Chocolate Rye Porter with Raspberries back to our picnic table on the patio, but the experience made me feel warm, fuzzy and only a little bit tipsy. Experiences like that have me choosing Beer over and over again. Craft Breweries and Beer bars offer a friendly, often family-oriented, environment where anyone can pull up a chair and mull over the complex flavors in their glass, while contemplating the friendly faces around them. For flavor, for atmosphere: this, friends, is why I choose Beer! 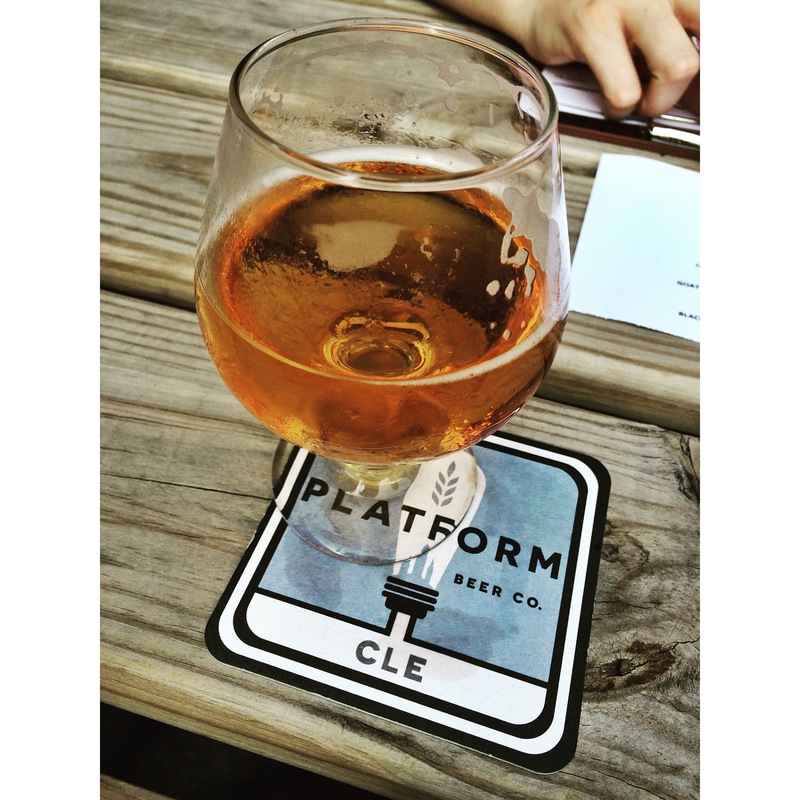 Platform Beer Co. is always a great experience – and speaking of family friendly, I swear I have seen parents [along with 8-10 of their close friends] celebrating their 6-year-old’s birthday there. The true inclusiveness of Beer drinkers shines bright in Ohio City [read: Cleveland, Ohio, or, better yet, the entire Midwest]. I almost used a picture from that night when the dogs were there and there was that kid’s birthday party happening hahah Platform is the BEST.